Are you going to create or redesign an e-commerce website or Online Shop? 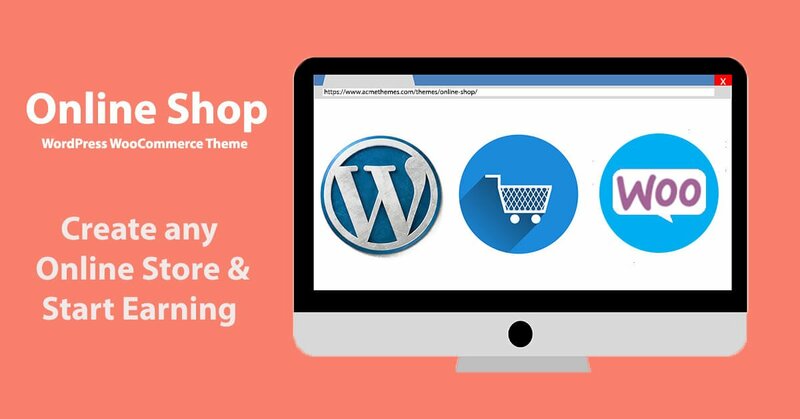 When it comes to creating an online shop or e-commerce stores, it’s always hard to choose the good theme and plugin for your WordPress sites. In WordPress CMS, WooCommerce is one of the powerful tool (Plugin) to create online stores. You have multiple platforms to develop your estore but WooCommerce is the best and globally tested platform. WooCommerce, one of the best e-commerce plugin with 3 million plus active installs. So, I strongly recommend you to use WordPress and WooCoommerce for your online store. 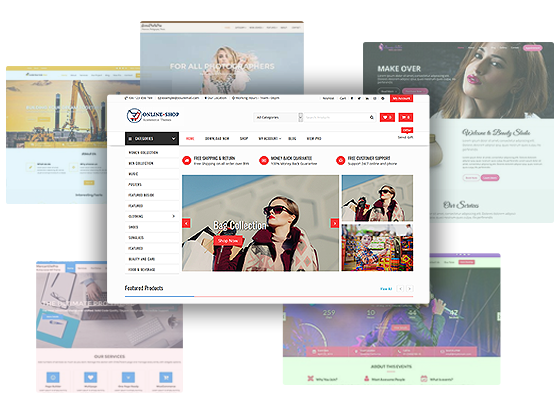 If you are creating your online store or want to redesign your existing WooCommerce site, Online Shop – Best ever theme for WooCommerce is available on Acme Themes. Online Shop a free WooCommerce WordPress theme with meticulously developed premium features and high-end design. You can showcase your popular products, new products, up-sale products, best selling product, upcoming products or any product that fits WooCommerce Selection with this awesome theme. After a huge research, Acme Themes comes with best ever products named Online Shop, specially developed for an e-commerce site, online shops and product showcase and branding websites. You can start selling and earning via online business using this theme. Due to its elegant design, quality codes and premium features, you can make your website good and visitor friendly. You can check the below-listed features to know more about this theme. Above listed are some basic features available on the theme. Beside this, there are various options available on the theme to customize your website easily. If you are not aware of codes, you can easily customize the website design and layout via color, sidebars, widget column and many more. Download theme now and start checking, this theme will be the best and useful theme for you. You want to know what some more features on this theme are. Wait for it over, here are some features I am going to list them. Sidebar Options – It helps to change the sidebar position on Frontpage, single page, archive page etc. Header Image and Header Video – Use Video or Image before or after the menu in the header section. Single Post Options – Options to manage related post, image size options, related post title etc. WooCommerce options for WooCommerce single page and archive page. Above listed features are some useful and very important features on this theme. Beside this, this theme has various features. Here in this blog post, I am also going to share you about the Widgets options available on this theme, how to import the dummy data, how to customize the theme and some more theme related things. Online Shop comes with one click demo import plugin. Recommended plugin Acme Demo Setup will help you to import dummy data. With the help of this plugin, you can easily make your website like the demo. Upload the zip file you downloaded above. Due to this feature, this theme is very easy to use. Try using theme now. With the help of video documentation, you can easily setup theme on your website. This theme has 9+ custom widgets available. You can use the available widgets in the widgets area to make the awesome site. Let’s introduce all the custom widgets in brief. This custom widget is useful for adding about us section on the homepage. You can place this widget on Home Main Content Area. You can give the title, select the unlimited page for services, column number, single items link options, carousel or normal display type, all link options and many more. See the below image to know more about widget options. This widget is used to showcase the brand or products on your website. Very useful and marvelous options help you to manage this section. This widget is used to search the products on your website. Place this widget on header or sidebars for the product search. This is one of the powerful widgets on this theme. Show two pages on your home page via this widget. You can show popular items, newly released items, and such specific items by using this widget. Check options and front view of this widget with the help of below screenshot. This widget is one of the highly crafted widgets to show your post on your homepage. You can set title, post number, post column, post via category or tags, post display type via carousel or normal layout, post order by date, ids etc. AT Social Section helps to display the social icons in the widget area. This widget helps users to showcase WooCommerce categories. You can select multiple categories, layout types, slider mode options, image size options and many more. This is another custom widget in this theme for showing categories tabs on your home page. Use this widget to show products on your WooCommerce website. This widget helps you to showcase products on your website. This theme is based on the latest technology of WordPress core called Customizer API. Every change can visible on the front end without saving. From WordPress 4.9, you can draft or schedule your customizer settings as well. Check this link to know more about WordPress 4.9. Online Shop is developed by the experienced team of Acme Themes and with the help of previous theme users feedback. After a huge research on e-commerce sites and WooCommerce plugin, Online Shop free WordPress theme is developed. Hope, our hard work, and effort will very helpful for previous users and new users too. If you have any feedback or suggestion, please comment us in the below comment section. Demo import is necessary for customize the theme.Thanks for import way.The theme looks beautiful.